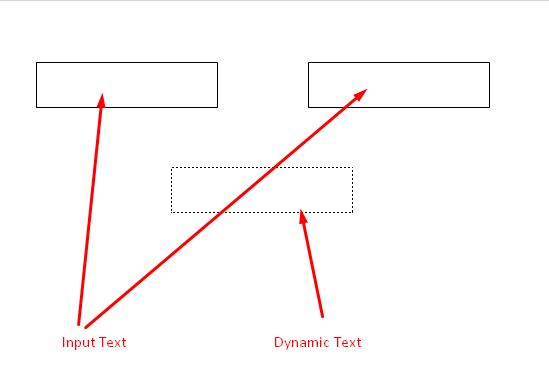 First we will begin with the input and output text boxes. These will be the boxes that the user enters the numbers and where they see the answers. 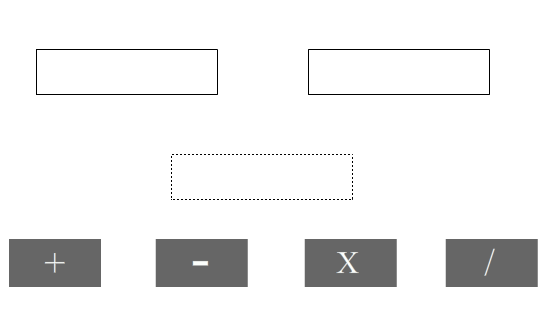 Make two of them as input text where the user will enter 2 different numbers and one as dynamic text- where the user will see the answer. 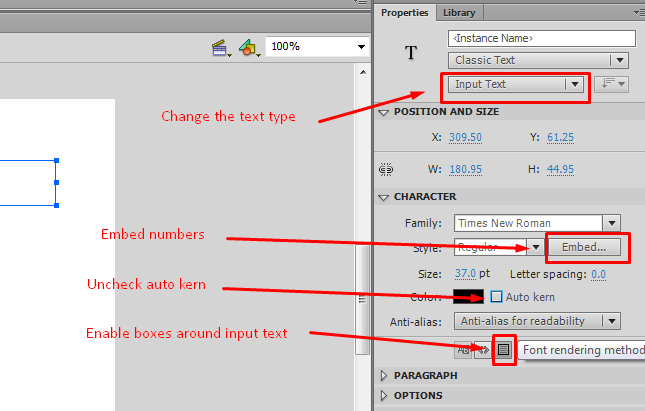 Enable boxes around the input text boxes. Embed all 3 text-boxes to numbers. For us to manipulate and use the textboxes in code we need to give them an instance name. However it is not necessary to give the buttons an instance name as they will not be modified. The Code for this program is fairly easy and self explanatory. All you need to do is put the right code in the right place! !